Over 25 years in the telecom and datacom industry, with vast technical experience in different networking technologies and protocols, both at components and system level. Prior to Ethernity Networks Shavit served as Chief Architect at Native Networks, a start-up company developing products for Metro Ethernet market. Prior to this, in 2001, Shavit has established Crescendo Networks, a start-up company enhancing data center applications performance. Prior to the venture at Crescendo, Shavit served as R&D Director at ECI Telecom, where he was in charge of development of all transmission cards for one of the world’s most successful broadband systems. Earlier Shavit worked at Lannet Data Communication, acquired by AVAYA, designing, together with Galileo, Ethernet switch on silicon. 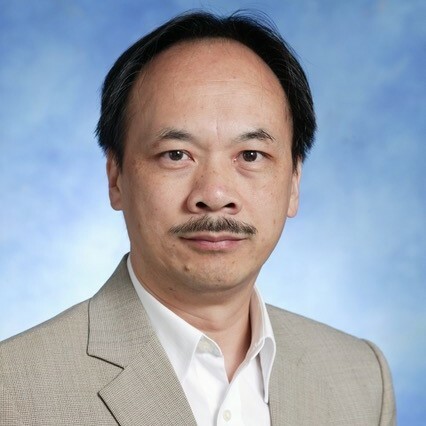 Eugene has 20 years experience in the telecom and datacom industry, along with vast experience in semiconductors and software, product architecture definition and marketing in carrier, enterprise and data-center markets, 5G, cloud and NFV solutions, IETF and IEEE standards implementation. Prior to joining Ethernity, Eugene served as a Senior Marketing Manager and SW Architecture Team lead at Marvell (NASDAQ: MRVL) with the focus on SMB, enterprise, carrier and data centre products. Prior to Marvell, Eugene was a Product manager at Radlan with the focus on Tier 1 accounts like ALU, Cisco, Netgear, and HP. Barak joined the company in July 2017, bringing vast knowledge in networking and virtualization. Barak is an expert in SDN/NFV with significant experience in open-source projects. He has built full solutions from concept through high-level design, software and FPGA & ASIC design. Prior to Ethernity, Barak held a variety of technical positions, VP R&D, Chief Architect, and Director of Systems Engineering. He worked at ECI and in several start-ups including Chromatis Networks, acquired by Lucent. While at ConteXtream, which was acquired by HPE, Barak led the technical definitions of the vE-CPE and SD-WAN solutions. Prior to that, he was responsible for the architecture of networking ASICs for the PON market and NPUs in PMC-Sierra. Via all the positions he has held, Barak gained experience of close cooperation with many of the major carriers/MSOs worldwide. Over the course of years, Barak contributed to the work of many standardization bodies: ITU-T, IETF, IEEE, FSAN and BBF. Recently Barak has focused on performance and SDN in ETSI NFV ISG. Barak holds several patents. Rob brings over 30 years of sales leadership in the networking and semiconductor market, and over the last 17 years, he has focussed on network processors. Most recently, he served a Vice President of Sales at Mellanox Technologies with responsibility for global network processor and multicore sales. Prior to that, Rob served for 15 years as the VP of Worldwide Sales for EZchip Technologies until EZchip was acquired by Mellanox in February 2016 for $811M. Previous roles include senior sales management positions at Conexant Systems and AMD. More than 30 years’ experience, over 20 of which are in executive and sales leadership roles. Before joining Ethernity Networks, Critz served as Vice President of Sales, APAC for Telestax, Inc., an open-source-based global Communications Platform as a Server (CPaaS) provider. Prior to that, Critz held the position of Vice President of Sales for Allot Communications, where he provided sales leadership and partner strategy to help the company win a several major mobile and internet service provider accounts in APAC. Over his career, he has filled several key executive positions with major corporations, including NMS Communications (now Dialogic), General DataComm, and Prime Computer. Critz holds a B.Sc. in Computer Science from the University of South Alabama.